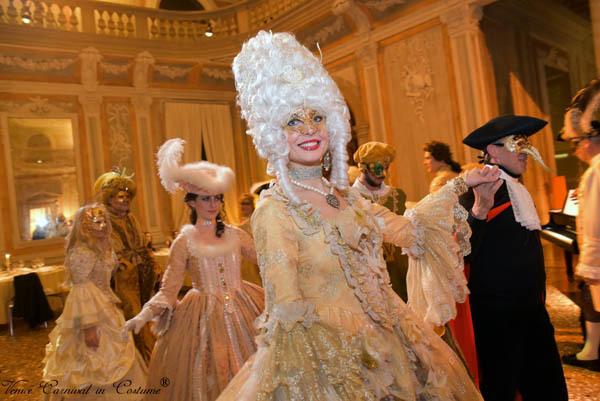 In the Hall of the Ridotto, heart of the extravagant carnivals of the 18th century where nobles, gamblers and adventurers such as Giacomo Casanova were regular, it will take place the most elegant party of the Carnival of Venice, created to celebrate the 20th anniversary of the Venice Carnival in Costume. When the guests arrive they will enjoy a welcome cocktail and then the five-course dinner will be served to their tables (wines included) in a magical atmosphere with several appearances created by wonderful Venetian costumes and the best artists. 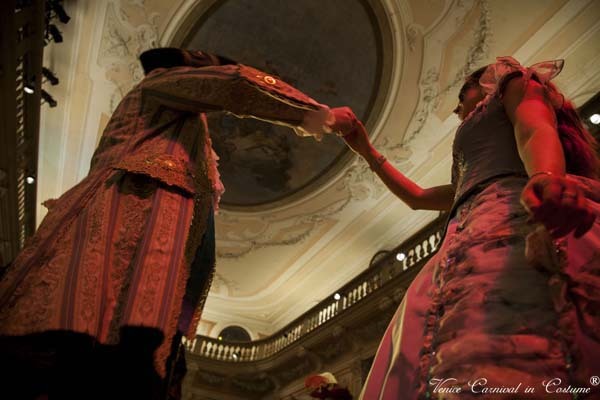 During and after dinner it will take place the Grand Ball led by the Dance Master on the live music of a classical ensemble: a unique experience which combines amusement, elegance, and participation.